Life insurance is likely one of the best things we can do to plan a financially secure future for our loved ones. Life insurance lets your family pay the bills, final expenses, or perhaps your kid’s college tuition after you are gone. 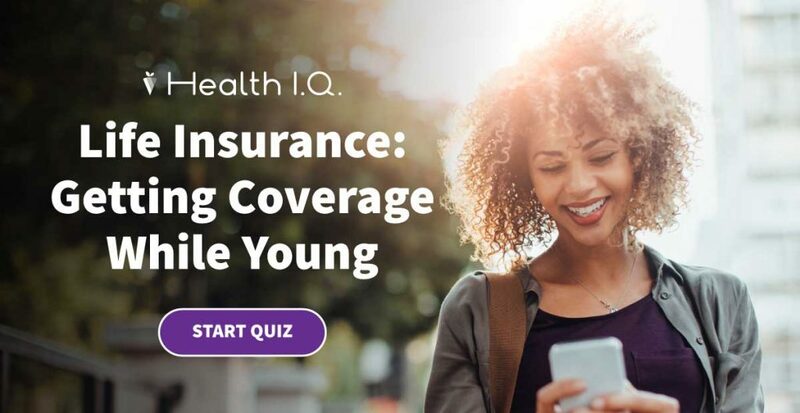 Even if you already have life insurance, it’s important to make sure you understand the ins and outs of your policy, and with Health I.Q.’s quiz, you’ll know if you’re picking the right life insurance for your lifestyle. Learn the difference between whole life and term life and which one is the better product for you. Do you know how to find out if your insurance company is stable? You will once you’ve taken our life insurance quiz. What happens when your term life policy expires, or who gets your benefits when you die, your beneficiaries or someone who’s named in your will? These are frequent questions about life insurance, and this quiz will give you the answers you are looking for. Once you know your Health I.Q. for picking the right life insurance policy, you won’t have to worry whether your family will be taken care of when you’re gone. You’ll have the tools to understand how life insurance protects your beneficiaries from financial stress and helps to ease them through an otherwise challenging time. Find out your Health I.Q. for picking the right life insurance policy right now, and then post your quiz results on Facebook so that others can grow their Health I.Q. as well.